This unusual and large piece of seaglass is sculpted in a very unique setting. Straight lines to resemble the retro look. Piece will make a statement for sure. Even the color is unique. A greenish brown hard to describe. Must be seen to appreciate. 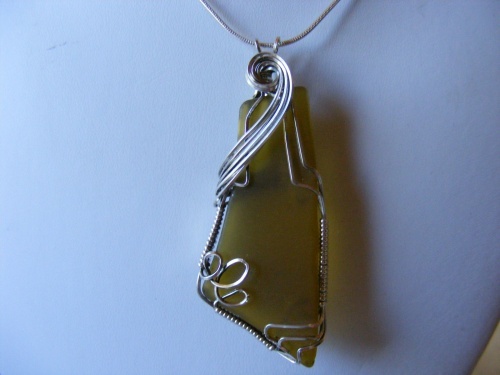 Measures 2 1/2" from top to bottom and 1" wide and comes with a sterling silver chain.